Sometimes people are reluctant to begin conversations about issues like race and culture, particularly outside their own cultural comfort zone. 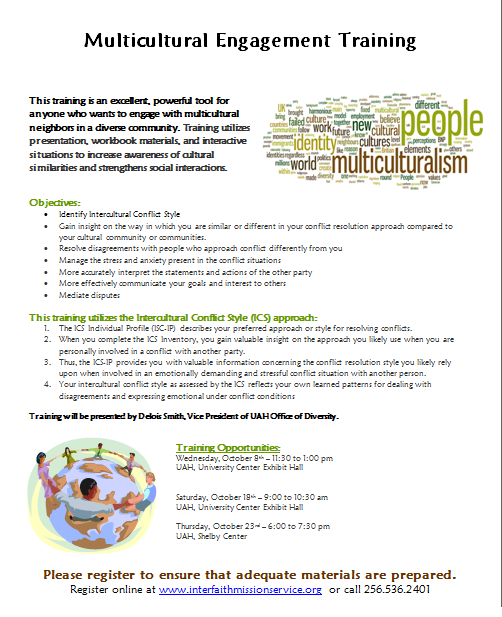 The workshop teaches practical ways to recognize and overcome cultural barriers to communication and working together. Contact the IMS office (256-536-2401) to learn more and set up your workshop.